In this photo of an Honor Guard, the bride and groom walk down the steps of the church under drawn swords. I have photographed many military weddings and appreciate the respect and traditions specific to each branch. I know how to capture the essence of a military wedding, such as members of the Air Force. My professionalism and courtesy is appreciated by these couples. 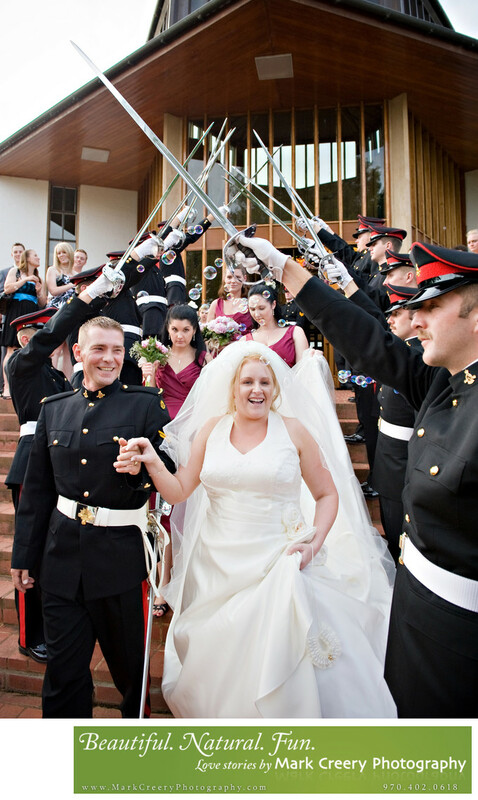 Inquire about a military discount for your wedding photography.